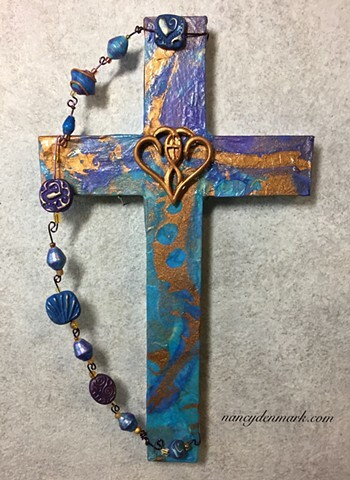 This newer larger size cross was made in collaboration with collage artist Patti Reed. Wood cross collage by Patti Reed. Polymer clay symbols, beads and wire by Nancy Denmark.